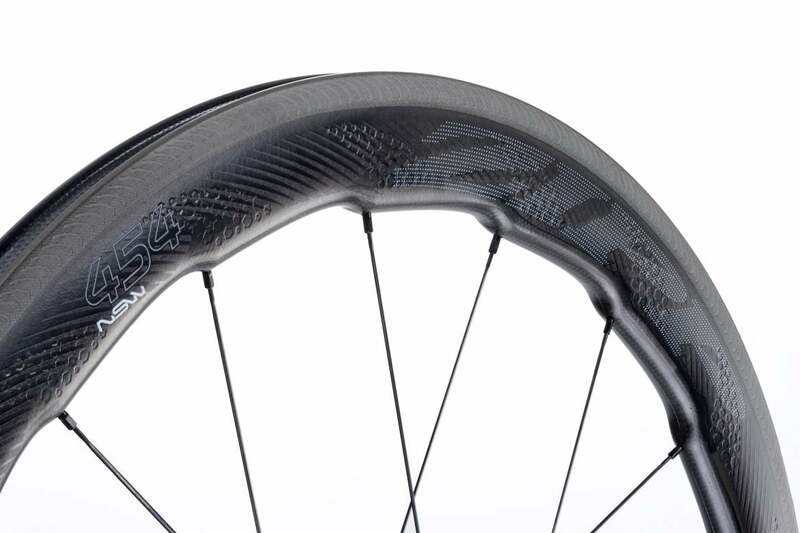 Zipp's new 454 wheels feature a lumpy rim profile, called SawTooth, that may deliver unrivaled stability in crosswinds and better aerodynamics. 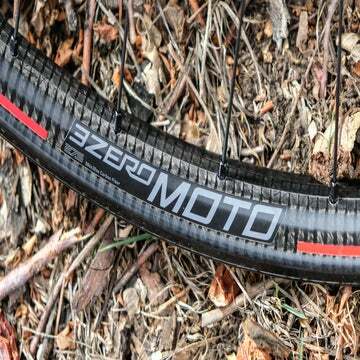 The 454’s, available now, feature a lumpy rim profile, called SawTooth, that Zipp claims delivers unrivaled stability in crosswinds while also improving aerodynamics. Basically, every deep-section rim is a compromise between straight-on aerodynamics and side forces. Zipp engineers say SawTooth makes for much less of a trade off between the two. At the unveiling of the 454s in London Wednesday night, Zipp engineers repeatedly turned to the idea of biomimicry, an old concept of approaching engineering problems by looking to how nature has solved them. (Velcro, based on seed burrs, is an example.) The concept has gained traction in recent years as advances in science and manufacturing have led to more complex executions (things like sharkskin-inspired swimsuits). For the 454, Zipp looked to humpback whales and, specifically, the lumps on the leading edges of their pectoral fins. Called tubercles, these protrusions make humpbacks more agile by keeping water attached to their flippers when they turn. In the same way that a plane can stall when air separates from the wing during high-speed maneuvers, uncontrolled turbulence over a whale’s flipper makes turning more difficult. Tubercles keep the water attached as it flows past. Aircraft designers have known about these benefits for years. A lot of airplane wings have small fins near their leading edges, turned at slight angles to the wind. These “vortex generators” disrupt airflow in a way that provides better lift and stability. 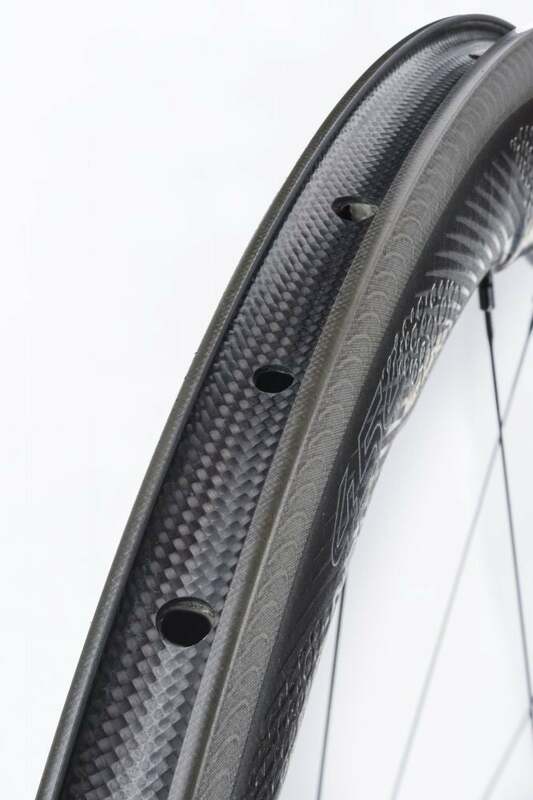 Zipp says its SawTooth tubercles, which the company calls “Hyperfoils,” make deep-section rims more stable in crosswinds by forcing air to slip around and off the rims in a much more predictable manner. If you’ve ridden 404s or similar wheels in crosswinds, you know how the front wheel tugs at the bars as it is buffeted by the wind. These pulses are a result of the wheel dumping wind that has built up on the side of the rim. The 454s still have to dump air, but, according to Zipp, the pulses are smaller and more frequent. Basically, the rider feels something more like a steady vibration than large, unpredictable movements. That means not only better handling but also better straight-on aerodynamics. 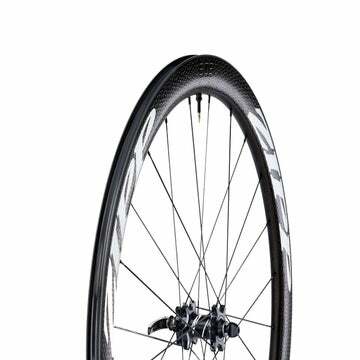 Aside from the SawTooth profile, the 454s boast technology already seen in Zipps NSW wheels, including the superb Showstopper brake track, varied-sized dimples, and direct-printed graphics (so as not to interfere with aerodynamics). The dimples are slightly different, though. Instead of covering the entire rim surface, they are clustered in strips at each Hyperfoil. And they are hexagonally shaped. Zipp says the angles and straight edges perform better than round edges. The 454s come built around Cognition hubs, which Zipp debuted with the 808 NSWs. The hubs have a magnetic clutch that disengages when coasting for reduced friction. The wheels are laced with 18 spokes in front and 24 in the rear. Each spoke enters the rim at the peak of a Hyperfoil. 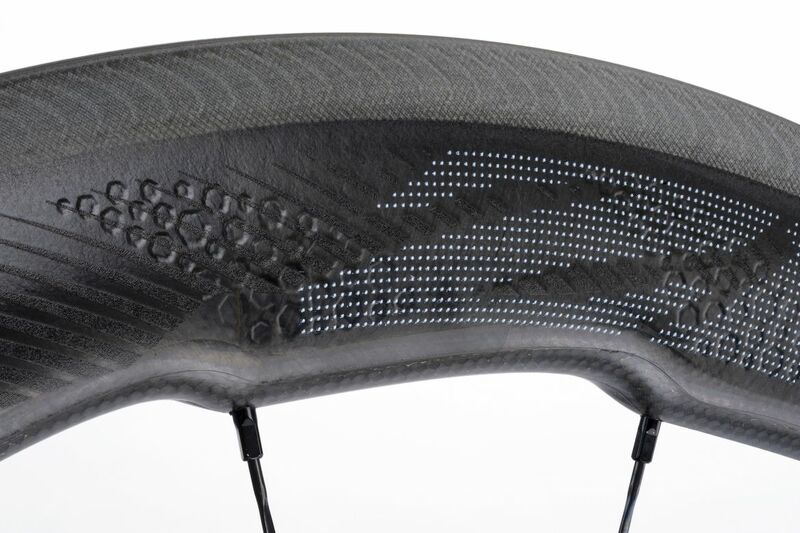 Zipp says its testing showed a range in the number of Hyperfoils needed to deliver the benefits the company was after, and that 18 and 24 both fall within that range. The 454s, for now available only as rim-brake clinchers, have a 17-millimeter internal width and measure 26.4 millimeters at the brake track and 27.8 millimeters at their widest point, same as the 404 NSWs. But the 454s are actually about 35 grams lighter per set (690 grams front and 835 grams rear, claimed). Zipp says a new construction technique plus the complex SawTooth profile means it takes 12 hours to build each individual 454 rim, which is why, at $4,000, these wheels are a full $900 more expensive than their already gaudily priced 404 cousins. Even for a brand known for halo products, the 454s are so expensive that the “worth it” questions are kind of pointless. But they’re an interesting proof-of-concept that we would expect to see trickle down to earthly levels — assuming they work as intended. We’ll let you know once we get our hands on a set for testing.